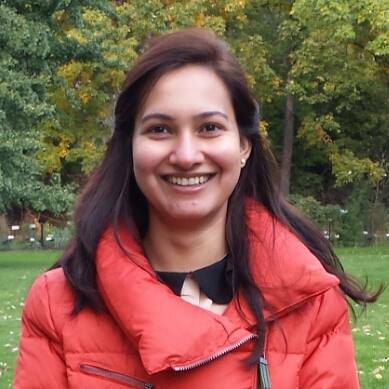 Short biography – Swati Mehta is a doctoral student in the Educational Psychology and Educational Technology program. She was a 2017 fellow for the Inside Teaching MSU – Innovation Hub Graduate fellowship and was a 2016 fellow for the Fellowship for Enhanced Global Understanding to China. Her interests lie in addressing gender, social, and racial inequities in computer science and engineering. She is presently working on a project that uses a culturally-responsive lens to understand the notions of developers of educational software and programming languages on issues of equity, diversity, and inclusivity. In the past, she has worked on an NSF-funded research project focusing on the use of case studies to introduce design thinking to first-generation and underrepresented students. This project aimed to help students smoothly transition from the classroom and lab-based learning to engineering capstone design course and their careers. In addition to this, she was closely involved with facilitating research projects and online presence of MSU-Wipro Urban STEM & Leadership Teaching Fellowship Program. Research Interests – She is interested in studying gendered and racial experiences of women and students of color in STEM fields and their reasons for persistence. In her past research work, she has used this lens in the discipline of computer science. In it, she explored women’s sense of belonging in computer science and their reasons for persisting in or deterring from the field. This will help her future goal to design and offer equitable learning of computer science that seeks to question the status quo and dismantle the gender biases prevalent in computing. Mehta S., Yadav, A., Martini, A. What is Engineering Design? Students’ conceptions of engineering design. Manuscript in Preparation. Yadav, A., & Mehta, S. (2019). Learning from Case-Based Instruction in Engineering: Does Confidence Predict Learning? Paper presented at American Educational Research Association, Toronto, Canada. Mehta, S. & Yadav, A. (2019). Gendered Representation in Computer Science: Exploring Women’s Belonging, Interest, Confidence, and Persistence. Paper presented at American Educational Research Association, Toronto, Canada. Teaching as a lead-instructor, I supported pre-service teachers learn key concepts from educational psychology and related disciplines such as cognitive and developmental psychology. The course uses two projects to help students gain a deeper understanding of how learning and development influence teaching activities in the classroom and in our day-to-day life. Teaching in-service teachers the value and relevance of creativity in education by developing an experiential knowledge of recognizing, analyzing, and supporting creativity in multiple contexts in addition to learning about psychological, motivational, and organizational aspects of creativity. Teaching as a lead instructor in-service teachers conceptions of learning as an active, socially mediated construction of knowledge in school, home, work, and other settings by developing know-how of what and how learning occurs in these settings and what do learners bring to these settings. Teaching as a lead instructor preparing in-service and pre-service teachers to be better consumers of existing educational research by developing a working knowledge of basic research strategies, methodologies, and practices and to be better producers of knowledge about teaching through their own systematic inquiry of educational practices. Teaching in-service and pre-service teachers the application of multimedia technology and social media in teaching and learning. The course focused on helping teachers develop plans for integrating technology in the classroom, design their own digital online portfolio as a tool for professional development, and teach school subject matter with technology. Teaching as a lead sectional instructor helping pre-service teachers interested gain a deeper understanding of diverse cultures through visits to schools and interaction with students from different cultural backgrounds. The course covers key concepts from educational psychology and related disciplines such as cognitive and developmental psychology. Teaching as a lead-instructor, I supported pre-service teachers learn key concepts from educational psychology and related disciplines such as cognitive and developmental psychology. The course uses a global learning project to help students gain an understanding of the cultural impacts on human learning and development that influence teaching activities. Assisting in-service teachers learn new strategies for constructing and implementing online curricula aimed at students across the lifespan. The course covers exposure to course management systems, essentials of virtual classrooms, assessing student learning, and essentials of universal design for learning. Project: Programming Identities: Educational Technologists Perceptions and Beliefs about Equity, Diversity, and Inclusion. Conducting interviews with software developers and educational technologists to understand their beliefs and perceptions concerning issues of equity, diversity, and inclusivity in CS education, with specific attention to how these issues inform software design and development. Working with Dr. Lachney on the Institutional Review Board (IRB) application involving the development of the interview protocol and questions, consent form, and fulfilling all the requirements of the Human Research Protection Program (HRPP). Working on data analysis, journal articles, and conference proposals and presentations. Working on research projects and papers that use case studies to introduce design thinking to first-generation and underrepresented students to help them transition from classroom and lab-based learning to engineering capstone design and ultimately to their careers in engineering fields. Developing pre- and post-test surveys for analyzing design thinking conceptions of students. Developing case studies that use designing thinking to expand engineering students’ view of problem formulation and solution development. Leading data analysis, journals articles, grant proposals, and conference proposals and presentations. Worked on research papers on teacher’s creation of STEM lesson plans and combining and reinventing TPACK and STEM teaching. Worked on designing curriculum activities for teachers around maker education and STEM teaching. Worked on data analysis, conference proposals, and conference presentations. Managing online presence of MSUrbanSTEM (2015 and 2016 cohorts) and the MSUrbanSTEM main website. Mehta, S. (2017, August). Planning to Transition to Teaching in the U.S. – An Introduction to U.S. and Michigan State University Student Culture & Teaching Policies. Teacher professional development workshop under Dr. Melissa McDaniels, Assistant Dean, The Graduate School & in collaboration with 20 peer facilitators. Mehta, S. (2017, May). Youth Educators Society (YES) Conference. Young Educators Society Michigan Chapter. Youth College Readiness workshop under Dr. Sonya Gunnings-Moton, Associate Dean, Support Services & Engagement, College of Education, Michigan State University and in collaboration with 10 peer facilitators. Worked on organizing motivational and assessment sessions to students aspiring to pursue education internationally. Providing counseling sessions in Information Technology, Information Systems, and Management Information Systems for students and parents. Managed admissions counseling, admission guidance, higher education consulting, and basic motivational assistance. Developed State Level examination papers for Master of Business Administration students. Undertook team leadership, training employees, providing investment reviews for clients, and providing customer support. 2016 Volunteered at Society for Information Technology and Teacher Education (SITE) Conference. Social Initiative for Women’s issue: Collaborated with two colleagues at College of Education at Michigan State University to extend initiatives begun by the Women’s March in January 2017. Conducted an action-oriented group looking to welcome diverse members to discuss and act on social causes across MSU and the Lansing area.